Yves Bauer studied music at the Conservatory of Strasbourg. Then he perfected CNSMD in Paris, where he won the First Prize for bass trombone and chamber music. 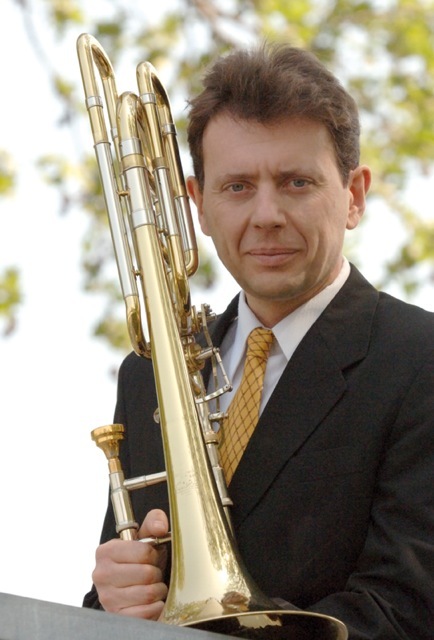 In 1993, he became the bass trombone soloist with the Lille National Orchestra. He again had an outstanding participation in 1997 at the International Trombone Competition in Osaka, where he was awarded. Since then he teaches trombone and chamber music at the ENM of Roubaix. His interest in his instrument leaded him to make the public as well as students and future students of music schools discover the bass trombone. Also Yves Bauer gives “Master Classes” and performs regularly as a soloist, particularly in the United States (New York, at the Juilliard School and at the Levine School of Music in Washington). His qualities as instrumentalist have been recognized by many composers including E. Ewazen, JM Defaye Mr. Lys, J. Naulais, and Mr. Steckar who have dedicated some of his compositions to him.